Here it is, my brand-new cover for “Archer’s Sin,” a Hearts and Thrones novella coming out in January 2014! This cover turned out to be rather difficult to put together because, as it happens, there are hardly any good stock photos available of women archers. You would think these would be plentiful, what with the popularity of Katniss from the Hunger Games series, but no. The photographers have yet to catch up, and many of the available photos are unusable. For example, one that the designer found featured an archer holding a longbow as if it were a crossbow. Given that the heroine in the book is described as a world-class archer and that she consciously thinks, during the course of the book, about her form and making sure it is correct, that wasn’t going to do. But Nalica can’t let her personal feelings get in the way of her ambitions. The tournament must come first… and there will be only one winner. Want to beta read? I’ll be sending out copies to beta readers at the beginning of January. If you’d like to participate, please contact me via my Contact Page. The overall content of the novella will be final by then, but I’m looking for typos, formatting errors, that sort of thing. 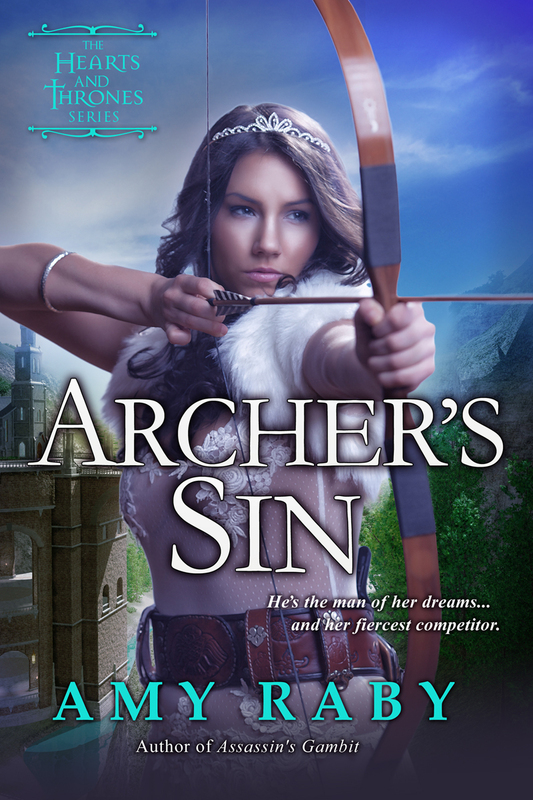 This entry was posted in Archer's Sin, Books, Fantasy and tagged archer's sin, archers, epic fantasy, fantasy, fantasy romance, hearts and thrones. Bookmark the permalink. 5 Responses to Archer’s Sin: cover reveal! Love the new cover and enjoyed the behind-the-scenes on making it. Keep us posted! The cover is stunning! I can’t wait to read it!